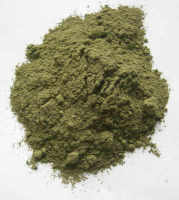 Used as body care: it softens and protects all types of skins. Used as repairing and protective hair care, it reveals the brightness and shininess of dry and damaged hair. Repairing and protecting hair care, it gives shininess to dried and damaged hair. Directions : Apply daily on dry and damaged hair, insisting on the ends, or apply as hair mask during 10 minutes before shampooing. Body: Apply to the skin and delicately massage with light circular movements. Sun: Before any sun exposure, you have to choose the right product according to your skin type. 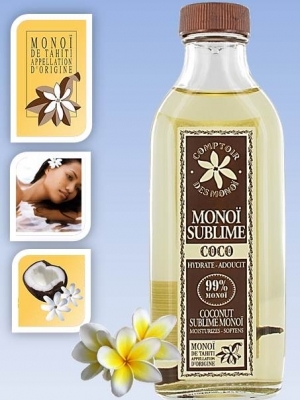 With no sun protection factor, Coconut Sublime Monoï is designed for olive or tanned skins. Apply to the skin during sun exposure to intensify the tan. Pocket size easy to carry. No parabens or other preservatives. No allergens. Note : Can be used both in summer or winter (it gets fluid next to a hot source). It is recommended to avoid exposure during the midday sun hours, especially for kids and pregnant women. IMPORTANT INFORMATION: Monoi de Tahiti solidifies (and sometimes in a non-homogeneous way) below 22°C.